Newsrooms are posting more of their content directly to social media platforms, but with little idea of what the rewards will be. Researchers surveyed more than 40 journalists and news media executives, from both national and local brands, as well as eight executives from Facebook, Twitter, Instagram, Google and Snapchat. They also held a roundtable attended by fifteen social media and audience editors. During the event’s panel discussion, Vivian Schiller, the former president and CEO of NPR, who later served as the head of news and journalism at Twitter, addressed that point. Liz Heron, the executive editor of the Huffington Post, said platforms and publishers do provide value to each other, which is why the Huffington Post considers itself to be a collaborator and partner to platforms. She said much of the Huffington Post’s success has come in tandem with the success of platforms. Schiller said the platforms have offered vague promises of revenue and growth and value, but the outcome of those promises remains to be seen. She pointed out that another problem with relying on platforms is the use of algorithms to deliver content. 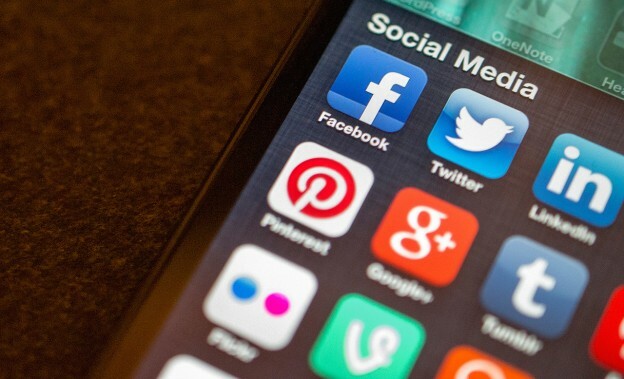 Navigating the social media landscape is particularly difficult for local publishers, who fear that national and international stories will naturally perform better on social media platforms. Local publishers also brought up concerns about a lack of resources. For some, just having an editor dedicated to social media would be a privilege, whereas some larger organizations have entire teams dedicated to working on individual platforms. Researchers said that platforms influence more than distribution of the news, including what stories are selected (a brand’s Facebook page is not unlike a modern-day front newspaper page, according to one respondent) as well as the format of a story. And once stories are posted, there’s no easy way to track the success of content online, publishers said. They must collect data from individual platforms and then try to compare it to site data. A lack of data also prevents publishers from developing smarter social media strategies. Additionally, platforms are unpredictable. They often unexpectedly tweak their algorithms. Wardle said that platforms, especially Facebook, say that the changes are made so that stories receive larger audiences in the long run. “But when you’re a manager who spent a long time getting more eyeballs, and then you come in on a Tuesday and it’s completely tanked and you don’t know why, it’s pretty demoralizing,” she said. Platform executives said they felt that newsrooms are often reluctant to be innovative and that they expect every new development to be the answer to the news media’s problems. They also expressed frustration at the way platforms are discussed critically in the media, saying that news stories often portray them in a harsh light. More information about the Tow Center research is available here. Another report spurred discussion at the event — the 2016 Reuters Institute Digital News Report, presented by Dr. Rasmus Kleis Nielsen. According to that report, nearly half of all online users in the U.S. get their news via social media – a figure that has doubled since 2013. In all 26 countries surveyed, there has been a significant increase in the numbers of people who get their news via social media. The primary reasons given for this were that social media alerts respondents to stories they might miss, social media provides a simple way to access a variety of sources and social media makes it easy to comment on and share stories. “Some of these things are really not about the sociality, if you will, of social media, but more about the user experience,” Nielsen said. A much-discussed takeaway from the report is that the growth of online video consumption has been limited. U.S. respondents consumed video news the most of any country, but that growth was just three percent from 2015, up to 33 percent. “Given the amount of resources invested in this by platforms and publishers, in terms of making digital video more integral to the digital media experience, for me, at least, it was a surprising finding,” Nielsen said. Respondents said reading text is quicker and more convenient, pre-roll advertising is intrusive and that videos don’t add to the text story. During a panel discussion, Emily Bell, the founding director of the Tow Center, said good, compelling video is still hard to produce. However, pressure to create more video comes from both platforms as well as publishers, particularly their commercial departments. Heron said the success of video likely depends on individual publishers. It works very well for the Huffington Post, she said. She expects video consumption to continue to grow, particularly for young people. Schiller pointed out that video is the only source of revenue for digital news that is not falling. The only other source of revenue that still shows promise is branded content. And, at the end of the day, there’s no substitute for journalistic sensibility, said Edward Roussel, chief innovation officer of Dow Jones. Video is crucial for some stories, but it can’t be contrived. The use of advertising-supported news production is in trouble, even online. Twenty-four percent of respondents have ad-blockers installed on their desktop browsers. And no one had any plans to remove them, Nielsen said. When asked why they use ad-blockers, respondents said they were fed up with the volume and distracting nature of advertisements, privacy concerns with ads that follow them from one site to another, and they want to improve the speed at which pages load. Growing revenue has become the biggest problem for publishers, especially for those working in print. “Everyone is looking for some kind of revenue savior and in the end it’s going to be bits and pieces of everything,” Schiller said. You can download the full Reuters Institute report here.